Want the kids to play outside more, but the heat makes it hard to think up ideas that are suitable for the summer months? Here is a printable ebook full of 25+ fun ideas for kids 12 and under. Plus, you’ll get every update of the book. So if we add new activities? You’ll be notified! Help the family get as much time in fresh air and sunshine as possible without having the excuse of being bored or too hot to do anything. Get an extra 30% off if you also add Family Camping Bundle and use code “BackyardBundle” at checkout. This product is a digital file. You will receive a printable PDF. We’re on a mission and it’s to get kids and families out the door and into nature… no matter the weather. So many memories can be made in the fresh air and sunshine, but we asked and you answered. So we compiled a book of activities great for families with kids 12 and under with multiple options based on time to prepare the activity or time the kids are actually playing. 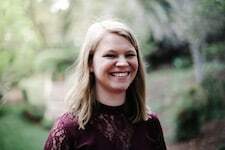 Kara grew up and lived in Oklahoma with kids for years where there were over 30 days of 100+ temperatures and even above 113. Thena lives in a place with sticky, hot humidity and no breeze. So we literally understand the pain of heat and spending time outside when it is scorching. Hot outside? Kids bored? Need ideas? 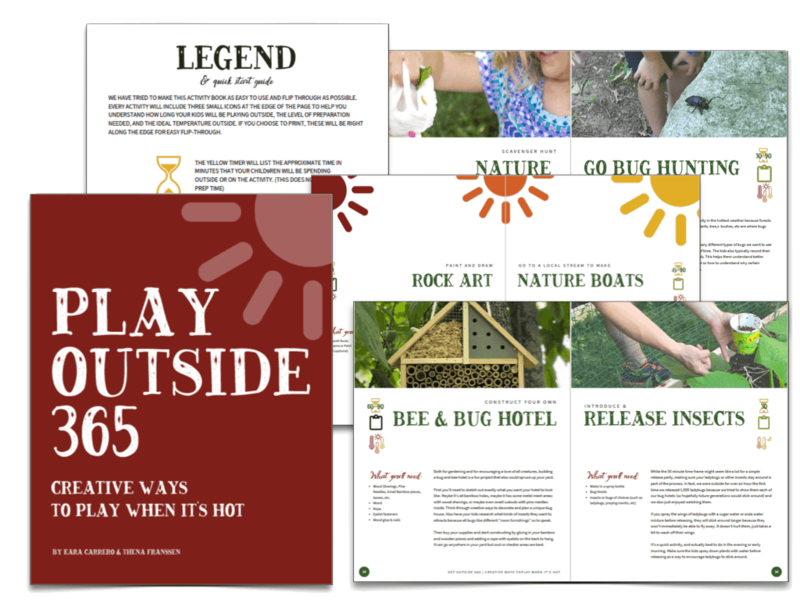 Whether your kids are headed back to school and they need to find ideas for getting some outdoor time while it’s still really hot out or your kids are still trudging through the heat of summer, we have your go-to resource for making sure all kids are spending more than the average 6 minutes outside each day. From exploring local-to-you swimming holes to introducing beneficial bugs into your yard, you’ll not only get this edition, but also any future updates to the title. Meaning you’ll have multiple ideas on your shelf to look through and choose when the temperature feels too hot to handle. Thena and Kara have 5 kids between the two of them and their families are passionate about the outdoors. But they’ve seen how modern kids are getting less and less time in nature. 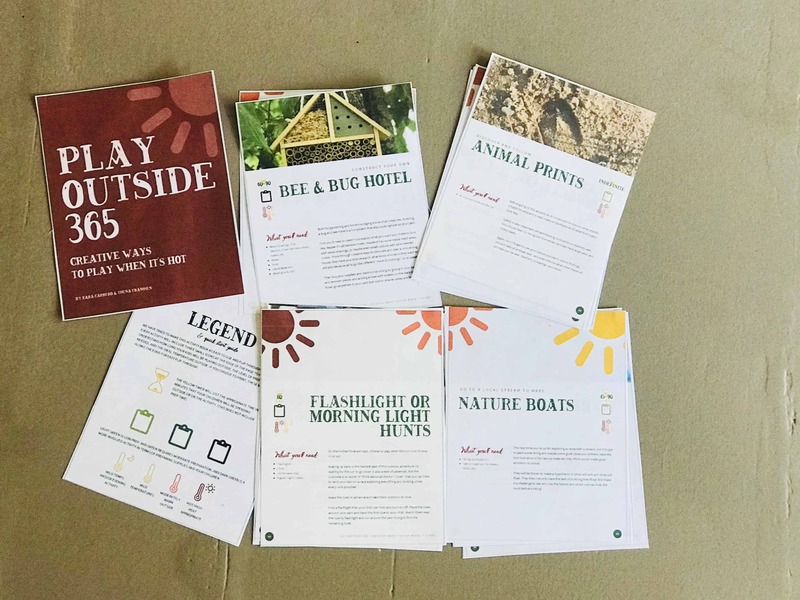 After hosting their first “Back to Nature” challenge, over 500 people mentioned that the weather was the biggest deterrent for spending time outside (or at least a lack of ideas that suit the weather). So over the next year or two they’re putting together a huge series of games, activities, and ideas to help families get and play outside 365 days a year.